Mr Othman appealed against that decision. 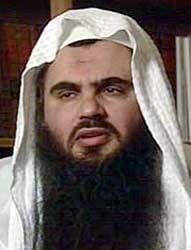 He had been convicted in Jordan, in his absence, of involvement in two terrorist conspiracies in 1999 and 2000. It was alleged by the Jordanian authorities that Mr Othman had sent encouragement from the UK to his followers in Jordan and that had incited them to plant the bombs. Mr Othman claimed that, if deported, he would be retried, which would put him at risk of torture, lengthy pre-trial detention and a grossly unfair trial based on evidence obtained by the torture of his co-defendants. The UK Special Immigration Appeals Commission (SIAC) dismissed his appeal, holding in particular that Mr Othman would be protected against torture and ill-treatment by the agreement negotiated between the UK and Jordan, which set out a detailed series of assurances. SIAC also found that the retrial would not be in total denial of his right to a fair trial. The Court of Appeal partially granted Mr Othman’s appeal. It found that there was a risk that torture evidence would be used against him if he were returned to Jordan and that would violate the international prohibition on torture and would result in a flagrant denial of justice in breach of Article 6 of the European Convention on Human Rights. On 18 February 2009 the House of Lords upheld SIAC’s findings. They found that the diplomatic assurances would protect Mr Othman from being tortured. They also found that the risk that evidence obtained by torture would be used in the criminal proceedings in Jordan would not amount to a flagrant denial of justice. The applicant petitioned the Strasbourg Court, alleging, in particular, that he would be at real risk of ill-treatment and a flagrant denial of justice if deported to Jordan. He relied on Article 3, Article 5, Article 6 and Article 13. An interim measure under Rule 39 of the Rules of Court was granted to the effect that Mr Othman should not be removed to Jordan pending the European Court’s decision. A hearing took place in public in the Human Rights Building, Strasbourg, on 14 December 2010. Third-party comments were received from the human rights organisations Amnesty International, Human Rights Watch and JUSTICE. The Court noted that, in accordance with its well-established case-law, Mr Othman could not be deported to Jordan if there were a real risk that he would be tortured or subjected to inhuman or degrading treatment. The reports of United Nations bodies and human rights organisations showed that the Jordanian General Intelligence Directorate (GID) routinely used torture against suspected Islamist terrorists and that no protection against that was provided by the courts or any other body in Jordan. As a high-profile Islamist, Mr Othman belonged to a category of prisoners at risk of ill-treatment and he claimed already to have been tortured when he lived in Jordan. The Court therefore had to decide whether the diplomatic assurances obtained by the UK Government from the Jordanian Government were sufficient to protect Mr Othman. It found that the agreement between the two Governments was specific and comprehensive. The assurances were given in good faith by a Government whose bilateral relations with the United Kingdom had, historically, been strong. They had been approved at the highest levels of the Jordanian Government, with the express approval and support of the King himself. They also had the approval and support of senior GID officials. Mr Othman’s high profile would make the Jordanian authorities careful to ensure he was properly treated; any ill-treatment would have serious consequences for Jordan’s relationship with the UK. In addition, the assurances would be monitored by an independent human rights organisation in Jordan, which would have full access to Mr Othman in prison. There would therefore be no risk of ill-treatment, and no violation of Article 3, if Mr Othman were deported to Jordan. The Court considered that SIAC’s procedures satisfied the requirements of Article 13. There had therefore been no violation of Article 13. The Court noted that Jordan clearly intended to bring Mr Othman to trial and had to do so within 50 days of his detention. The Court held that 50 days’ detention fell far short of the length of detention required for a flagrant breach of Article 5 and, consequently, that there would be no violation of Article 5 if he were deported to Jordan. The Strasbourg Court agreed with the English Court of Appeal that the use of evidence obtained by torture during a criminal trial would amount to a flagrant denial of justice. Torture and the use of torture evidence were banned under international law. Allowing a criminal court to rely on torture evidence would legitimise the torture of witnesses and suspects pre-trial. Moreover, torture evidence was unreliable, because a person being tortured would say anything to make it stop. The Court found that torture was widespread in Jordan, as was the use of torture evidence by the Jordanian courts. The Court also found that, in relation to each of the two terrorist conspiracies charged against Mr Othman, the evidence of his involvement had been obtained by torturing one of his co-defendants. When those two co-defendants stood trial, the Jordanian courts had not taken any action in relation to their complaints of torture. The Court agreed with SIAC that there was a high probability that the incriminating evidence would be admitted at Mr Othman’s retrial and that it would be of considerable, perhaps decisive, importance. In the absence of any assurance by Jordan that the torture evidence would not be used against Mr Othman, the Court therefore concluded that his deportation to Jordan to be retried would give rise to a flagrant denial of justice in violation of Article 6. The Court did not consider it necessary to consider his other complaints under Article 6. The applicant did not submit a claim for just satisfaction under Article 41. A full analysis of this case will follow. Previous posting states `Life sentences on murderers not against human rights.` Now this. Whom the Gods would destroy, they first make mad, and we must be mad.` Enoch Powell. The sentences & practices of Jordan are not our concern, nor our responsibility. To let a mass muderer, i.e., a terrorist to stay here is lunacy, let the Jordan equivalent of their S.A.S. come & fetch him; otherwise give him life here. We`ve had enough of them & their like.